How To View Data in Hidden System Tables. SQL Server has System base tables which are hidden cannot be directly queried. 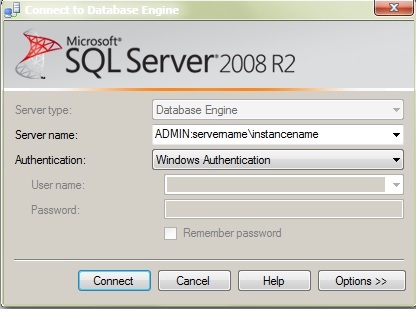 In order to view data from the hidden System base tables you have to connect to SQL Server using Dedicated Administrator Connection. In order to connect using Dedicated Administrator Connection, Add ADMIN: before the name of the server\instance in SQL Server Management studio.